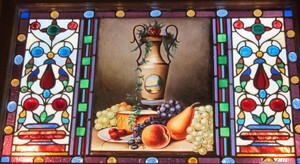 sacramental wine to churches and stayed in business when other vintners had to close their doors. 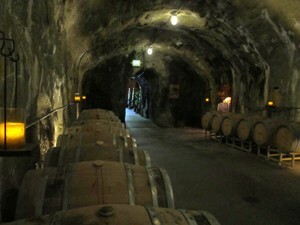 If you’d like to learn the long history of the Beringers and take a guided tour of the historic tunnels where they originally made and stored wine, and of course taste a few modern-day varietals, head to Napa Valley, California. Frederick as the financier. Their dream was to make wines that would rival the finest in Europe. Digging naturally temperature-controlled caves to maintain a constant temperature of 58 degrees, and experimenting with new gravity-flow fermentation techniques (typical in Germany’s Rhine Valley) helped them to realize their goal. 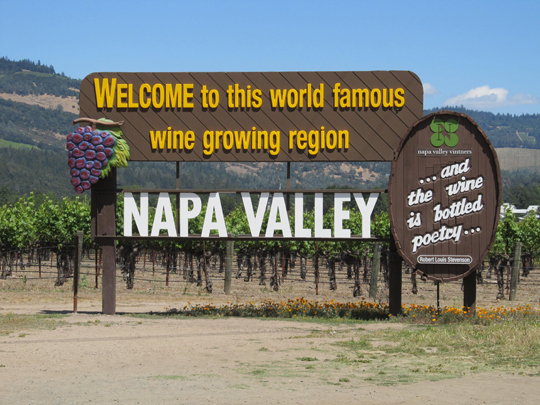 The Beringers basically sparked Napa Valley’s wine tourism by being the first California winery to offer public tours after the repeal of Prohibition. The business stayed in the family for nearly a century, but then the Beringer name and winery were sold to Nestlé in 1971 (it has since been bought and sold several times). What’s fun to note is that after all these years, a Beringer family member is back guiding the business— Jacob Beringer’s great great-grandson, Mark Beringer, is now the Chief Winemaker! 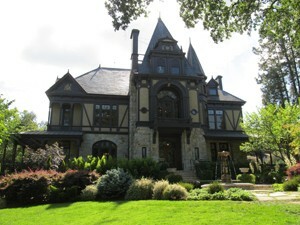 was similar to the Beringer family’s German home. As soon as you step inside, you’ll notice the exquisite stained-glass windows and woodwork! Although not open to the public, you’ll also see the Hudson House on the property which was Jacob’s home. The extensive gardens, Redwood grove, 150-year-old walnut tree, bocce ball and croquet lawns make the Beringer property a place you’d like to hang out all day. The entire estate is designated a Historic District on the National Register of Historic Places and is a California Historical Landmark. June – October 20th: 10:00 a.m. – 6:00 p.m.
October 20th – May: 10:00 a.m. – 5:00 p.m. 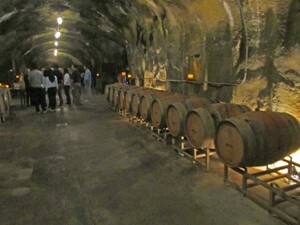 Choose from several guided tours, wine and food pairing events, or arrange for a private tasting; call (707) 302-7592 or visit http://www.beringer.com/visit#tours for details.